Nowadays, anyone can make any outrageous claim and we can just shrug and call it a publicity stunt. 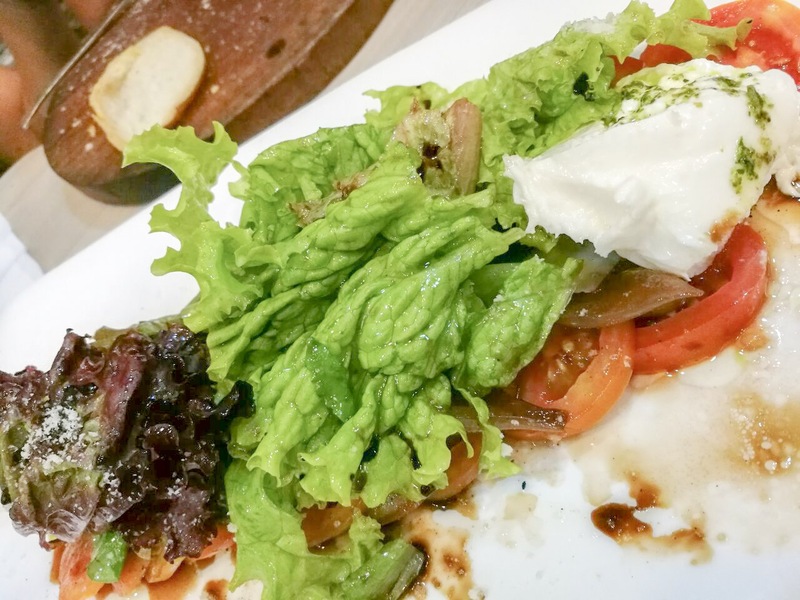 But when we heard a certain establishment over at Bonifacio Global City being hailed as possibly the best Italian restaurant in Manila, we were stunned. That was a bold claim to make, amidst so many competitors! Is it really that good? We just had to try it out ourselves. 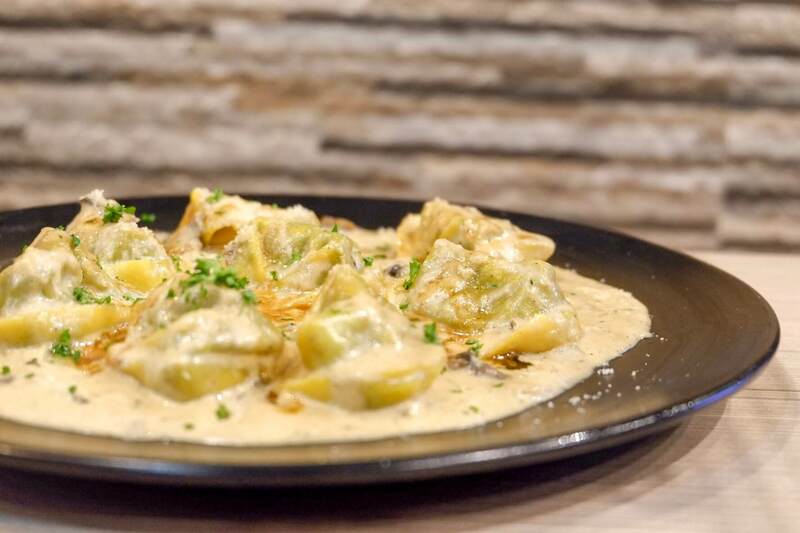 Va Bene Pasta Deli has been gathering rave reviews for quite a while now, working up a good reputation among foodies and BGC residents. So when we arrived at the area, we made a beeline for their Central Square branch and peeked in. What we saw was the first of many surprises. 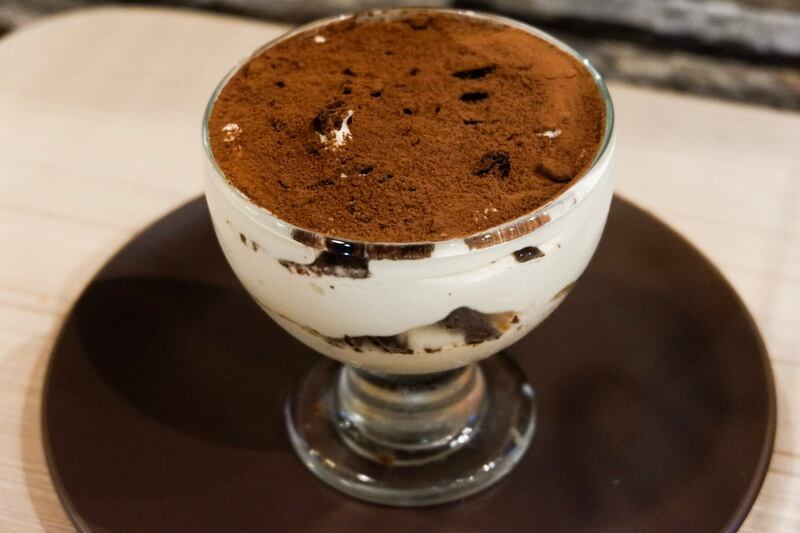 At first blush, we would never mistake this for a high-class Italian place. The chic interior design is something you would expect from an eat-all-you-can resto, but not an Italian one. For some reason we were expecting velvet and lace, white and red, candlelight and roses. Instead, we got a really hip palette of peach and black, in a room that is brightly illuminated by lots of lights. It ran contrary to all expectations, but it’s all for the better — the cute and relaxed atmosphere made dining all the more effortless. Plus, the lights made sure it wasn’t hard to take a pretty picture! Inside you will also find a blackboard showing the day’s special. We were handed our menu as we were seated, and we immediately took to browsing and ordering. 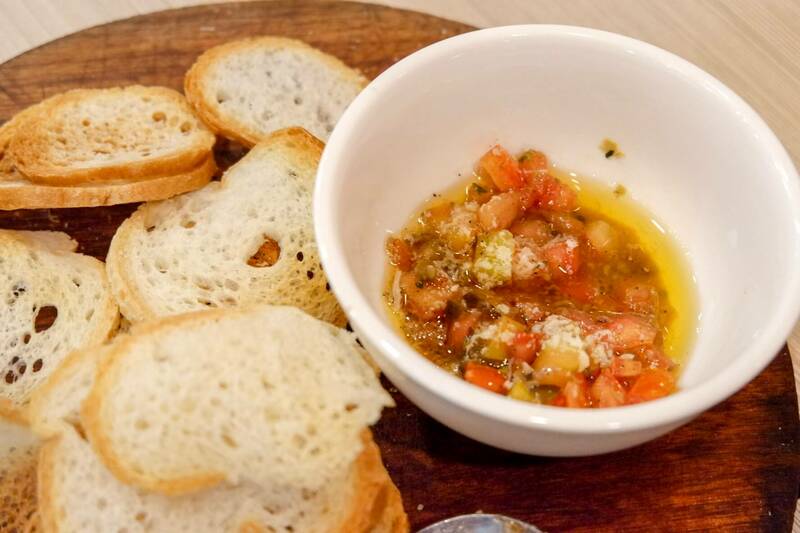 We were also served the complementary bruschetta as we waited for our orders. Unlike the bland appetizers served gratis at other places, the crunchy bread and the delicious salsa really whet our appetite! 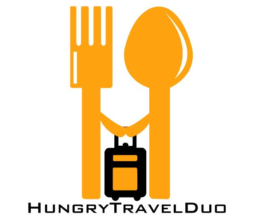 It was our first glimpse into how great this dining experience was to be. 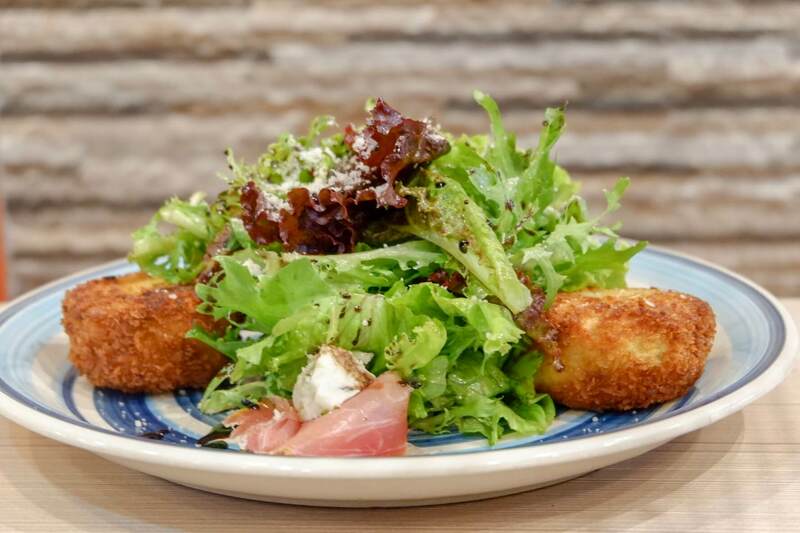 This appetizer is fresh and delicious, with a nice touch of different flavors. The savory beef and cheese went in nicely with the freshness of the vegetables. This pasta dish was simply amazing! 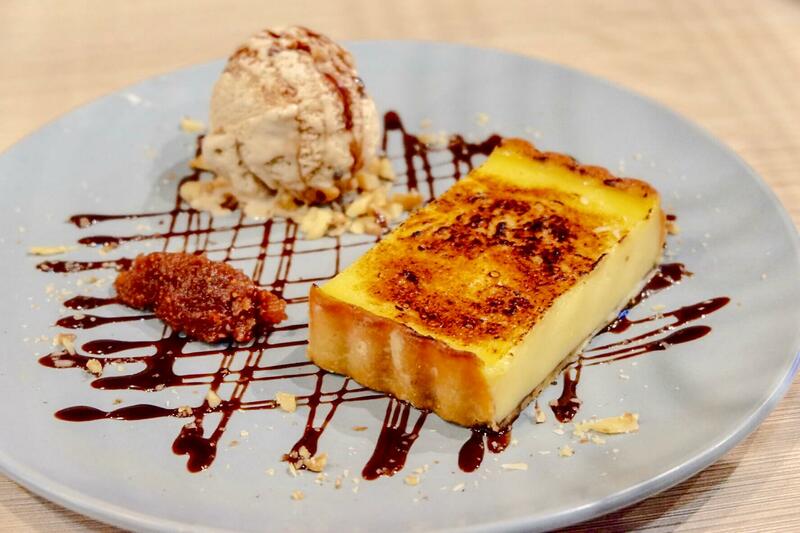 The textures are perfect, and the taste is a subtle combination that tickles the palate while leaving you wanting more. 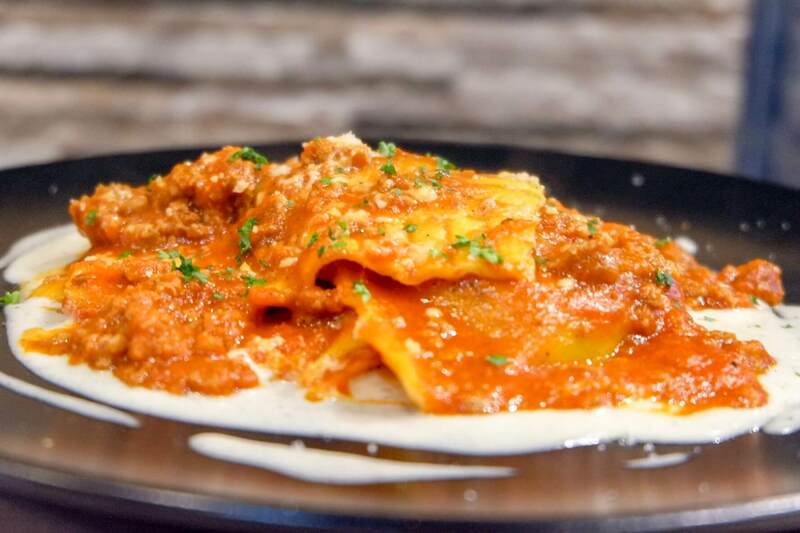 The thick sauce was generously slathered over the pasta, meaning you get all the flavor with every bite. The aroma coming from the truffle oil, especially, added a special touch. If you like white sauce on your pasta, you can’t go wrong with this. This seafood pasta is also to die for. 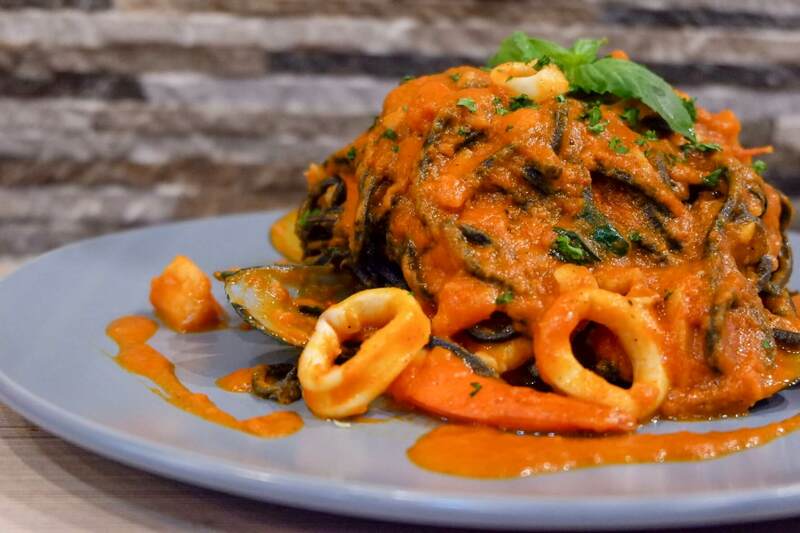 The marinara sauce was exquisite and flavorful, and the seafood was cooked to perfection. And unlike the usual pasta, this one actually has flavor all on its own. The addition of tomato cream sauce also made it interesting not only to the taste, but also to the eyes! Red and black is now both stylish and delicious! The tender veal formed a nice contrast with the mashed potato and the ravioli. It’s one of the priciest meals in the menu, and after tasting its inimitable flavor I could say it was completely worth it! It’s that type of meal you know is special from the first bite! It’s remarkable that we got to eat as much, considering that we also kept asking for additional servings of the complimentary bruschetta. High-class places are usually where you feed your tongue more than your stomach, but here everything — and everyone — is satisfied. Food as good as this would be apt to include anyone’s mood, and no one knows that better than businessmen! How else do you think the term “business lunch” came about? With Va Bene, even the most cutthroat corporate discussions would be palatable. Of course, there’s the great ambience and the perfect location. And then, the resto has taken steps to make sure that you have a sumptuous afternoon regardless of the matter at hand. Yes, Va Bene has recently launched their business lunch menu, which is available from 12 noon to 5:30PM, every weekday. The price tag is fairly affordable, so yes, you can fearlessly pick up the chit — points for you! You can grab either an appetizer or a main course at Php 299, or an appetizer plus a main course at Php 499. 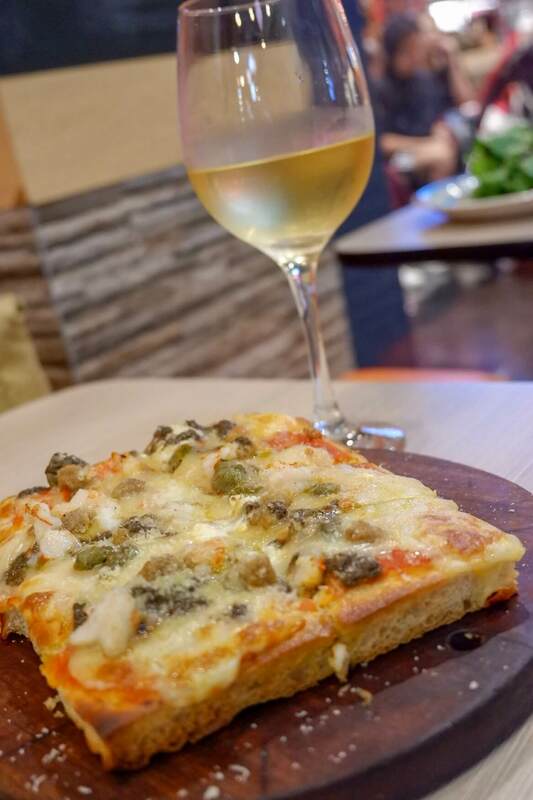 You can also choose an appetizer or a main course, and add their great house wine, also at Php 499. The business lunch menu rises up to the occasion, with appetizers such as Gorgonzola Polenta (octopus puttanesca), slow-cooked salmon in Mixed Lettuce and Arugula (complete with oranges, tomatoes, lemon dressing, and parmesan! ), and Tomato Milanese (with blue cheese parma ham and balsamic dressing). 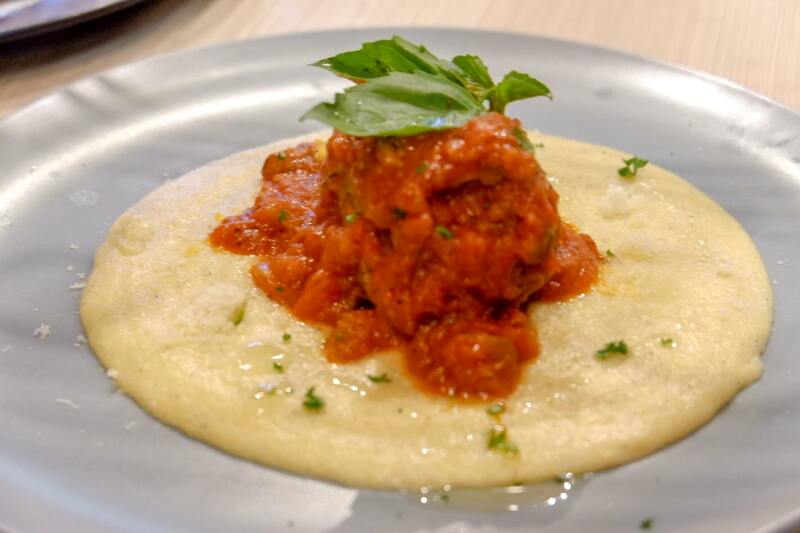 For the main course, choices range from Three Eggs Fritata, Spanish Ricotta Raviolino, or Involino Braised Pork Roll. Whichever one you get would surely be a hit. Va Bene Pasta Deli opens at exactly 12 noon, and it is remarkable how the lines form even before the waiter flips the sign to “Open”. And just a few minutes later, the entire restaurant is filled with happy diners! But the magic also continues behind the curtain. 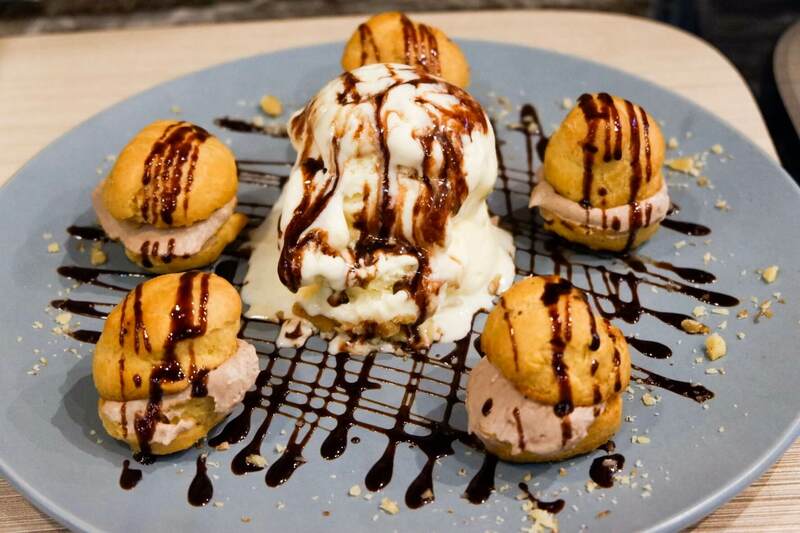 The sumptuous Italian offerings are whipped up by Chef Massimo Veronesi, an Italian who has had experience with a number of Michelin Star restaurants in his home country. Indeed, excellence start from the top down! Everything in the resto is fresh and handmade, and made to the highest quality standards. 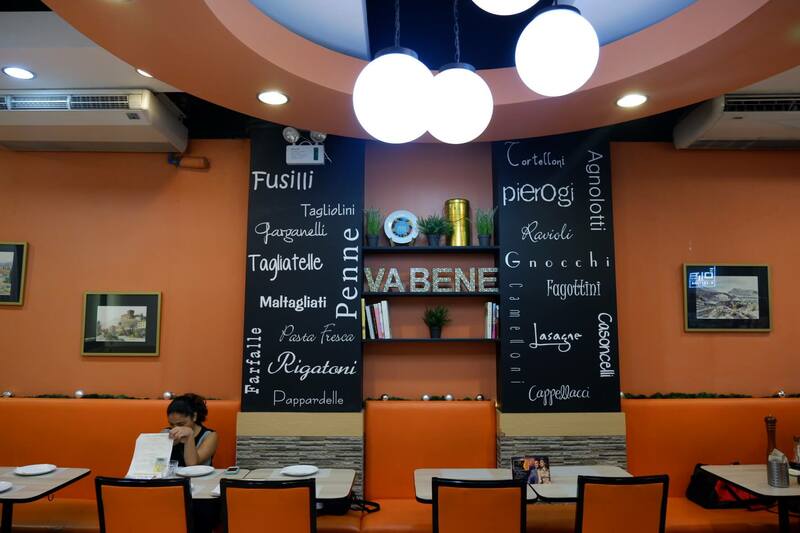 The first branch of Va Bene (“it’s good” in Italian) opened in Makati in 2010, and has since gained a cult following. Now, with its BGC branch, it has exploded in popularity. And you know the best part of it all? 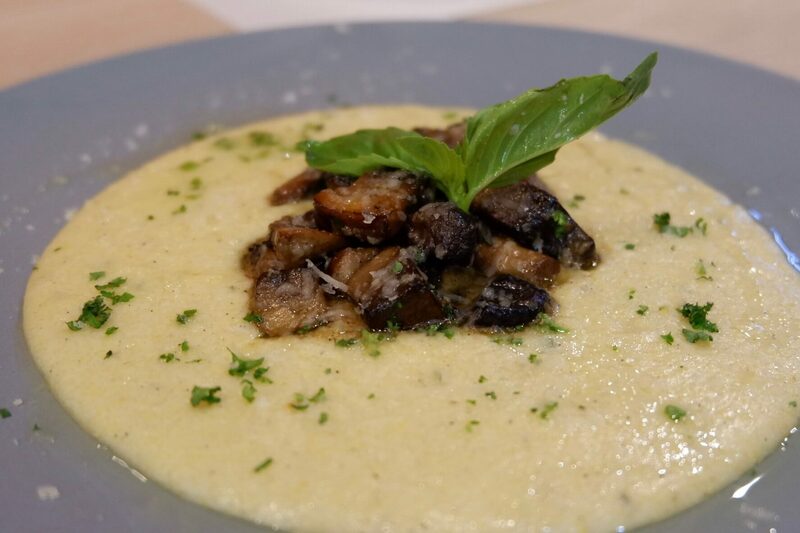 Va Bene offers authentic and amazing Italian recipes all without breaking the bank! 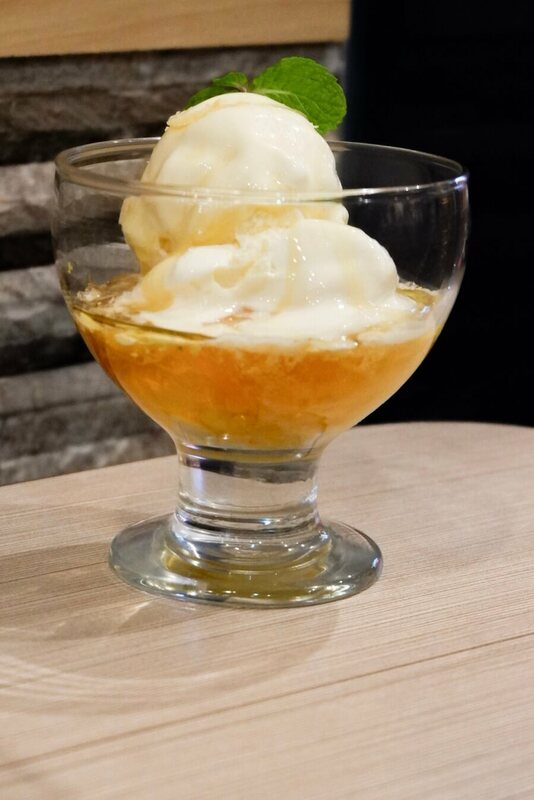 Yes, it’s pricier than usual, but you can easily find more expensive offerings that don’t even measure up to what Va Bene offers. In the end, Va Bene Pasta Deli lives up to the hype. It’s a rare breed, and it’s something that you have to try as soon as possible! Nomi Matcha & Acai Now Open in BGC!